Services: 10.30 am every Sunday. All age worship each Sunday except 4th Sunday, family Service. Children have their own activities but also take an active part in worship each week including playing musical instruments. 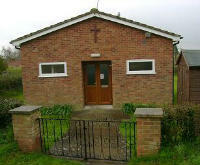 The Church is located in a small but steadily growing village just off the B1069 road south of Leiston. 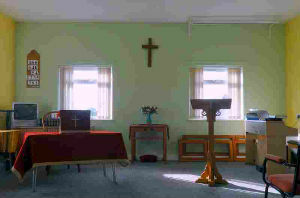 The Church building is a modern complex adapted for worship and community use and has recently being extended. It lies on the edge of registered common land just behind commercial and residential property off Mill Road. The membership currently numbers 20, but there is a good number of adherents, especially attending the once a month Family Service. Four of the membership have completed the Worship Leaders’ Course. The Church offers a lively evangelical/charismatic fellowship. Second Fridays of the month from 2.00 – 4.00pm - Scrabble Tea meets at the church. Fourth Wednesday of the month - Open House meets at the church for games, tea and cake.